Themed cakes are so fun to do. The possibilities are as endless as your imagination. St. Patrick’s day is no exception. There’s the pot of gold at the end of the rainbow, leprechauns, lucky clovers, not to mention anything that’s green or Irish and so much more. 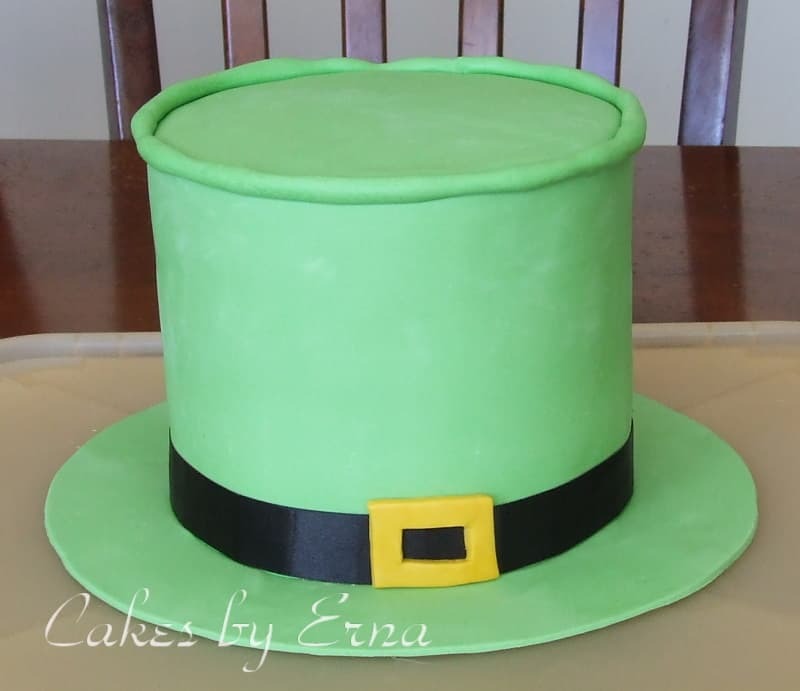 I had lots of fun making this leprechaun hat cake. With this warm weather, all the snowmen are melting….even this SNOWMAN CAKE! Like this cake? Consider pinning it …and we love your comments! Take a look at some other fabulous Cakes By Erna while you are here! Cute! I love your cakes! Thank-you, I have so much fun making them. Great idea for a St Patrick’s Day bash! Looks great and not so difficult that it is beyond my minimal skills!